Hi! My name's Yum-o-tronic 3000. Melt AERO chocolate in microwave (15 second intervals until melted). Add a handful of crushed SMARTIES and mix well. Pour chocolate mixture into molds. Let chocolate harden in fridge before removing from mold. Decorate your creation with SMARTIES, using frosting to secure. To cool your chocolate perfectly, let it set in a wine fridge on a red wine setting. 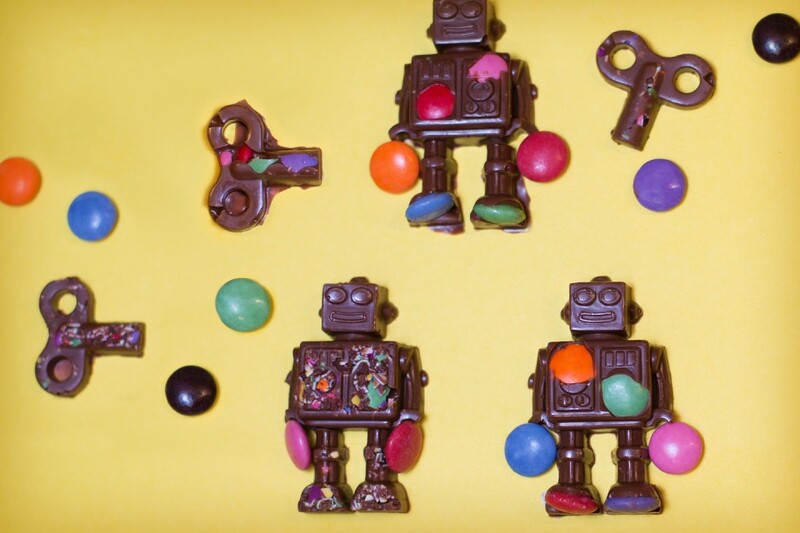 Add more variety to your robots by melting white chocolate instead!